Site of the Star Hotel in Bowling Green, Va. The building was razed in the 1940s, but bricks were salvaged and used in the construction of the real estate office that now occupies the site. County. Rumors suggested that Jett was courting Izora Gouldman, whose father ran the Star Hotel in Bowling Green. It was there that Jett and Ruggles spent the night of April 24, 1865. The following morning, Herold and Bainbridge arrived at the hotel, picked up Ruggles and the three men rode back to the Garrett Farm where Herold rejoined Booth. Bainbridge and Ruggles left the farm and never saw Booth or Herold again. 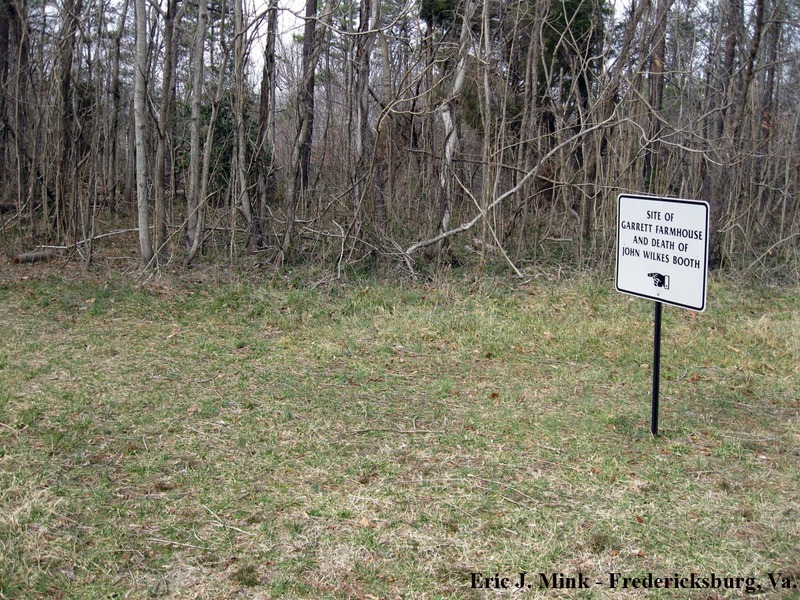 Site of the Garrett Farm along US Route 301 north of Bowling Green, Va.
identity before confiding in one of the officers. “I know who you want; and I will tell you where they can be found.” It was exactly what the authorities wanted to hear and with those words Willie gave up the most hunted man in the country. Willie guided the cavalry to the Garrett Farm. He was left at the gate to the property, while the cavalry rode in to get Booth and Herold. Herold surrendered, and later hanged for his crimes, but Booth was shot in the Garrett barn. The Union soldiers carried the mortally wounded assassin to the porch of Mr. Garrett’s house. Willie was brought to the scene. While he lay dying, Booth looked up, recognized Willie and asked: “Did that man betray me? Did Jett betray me?” His question went unanswered, but surely he knew the truth. A few minutes later, Lincoln’s assassin expired. I’m going to stray a bit from Fredericksburg and the battlefields to look at a story that unfolded in Caroline County, Virginia. The National Park Service does have a vested interest in Caroline’s Civil War history, as it maintains the Stonewall Jackson Shrine, the small plantation office building where the Confederate general died in 1863. The events discussed in this and follow-up posts occurred only a few miles from the Stonewall Jackson Shrine. A small government-issued Confederate headstone stands in the northeast corner of the Fredericksburg City Cemetery. 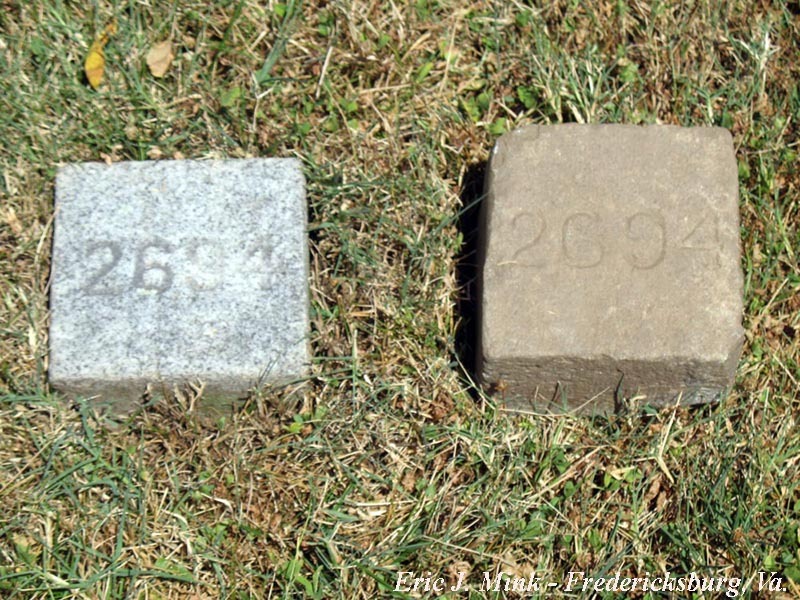 Aside from its inscription, it doesn’t appear any different than the other Confederate stones scattered about the cemetery. 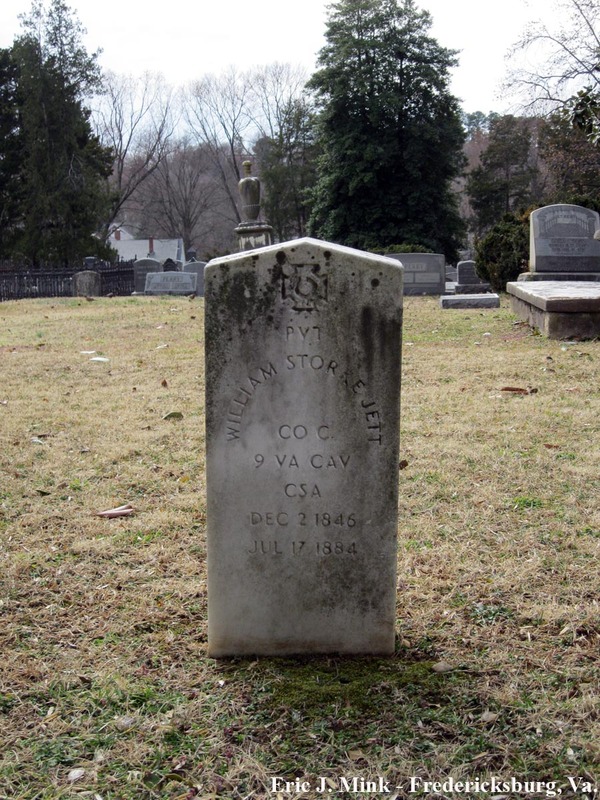 The stone marks the grave of William Storke Jett, a native of nearby Westmoreland County who served in Company C of the 9th Virginia Cavalry. Willie, as he was known, spent less than one year in Confederate service. 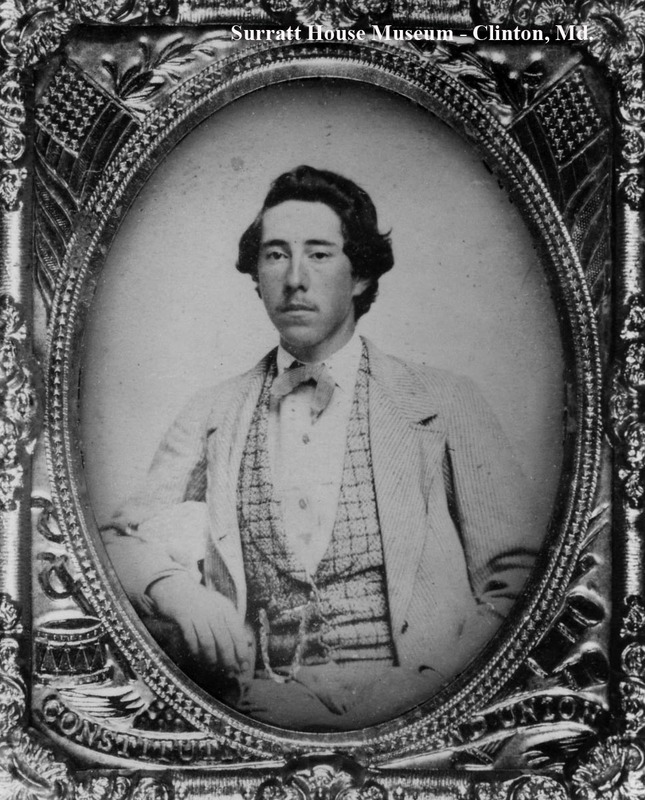 He joined the 9th Virginia Cavalry on June 16, 1864, at the age of seventeen. Thirteen days later, Willie received a severe wound when shot in the abdomen during the First Battle of Reams Station in Dinwiddie County, Virginia. The wound so incapacitated Willie that he never returned to active duty with the regiment. 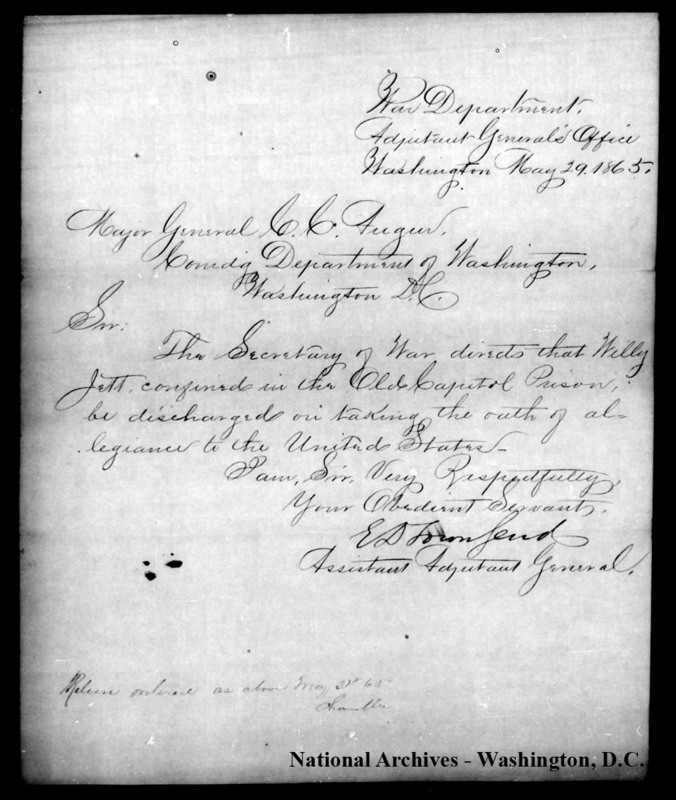 By his own account, once he recovered from his wound he served the remainder of the war as a commissary agent on duty in Caroline County, Virginia. When he learned of the surrender of Robert E. Lee and the Army of Northern Virginia, Willie claimed that he made his way to Westmoreland County to meet up with his brother, Lucius, who was a private in Colonel John S. Mosby’s 43rdBattalion Virginia Cavalry. If he could not rejoin the 9th Virginia Cavalry, he would join another command. From Westmoreland, Willie traveled to Loudoun County, where he learned that Mosby’s command had already disbanded. At that point, Willie determined to return home to Westmoreland County, believing the war was over. First, however, he would pay a visit to friends in Caroline County. Willie Jett’s name would most certainly have been forgotten to history if not for a chance encounter on his trip home. 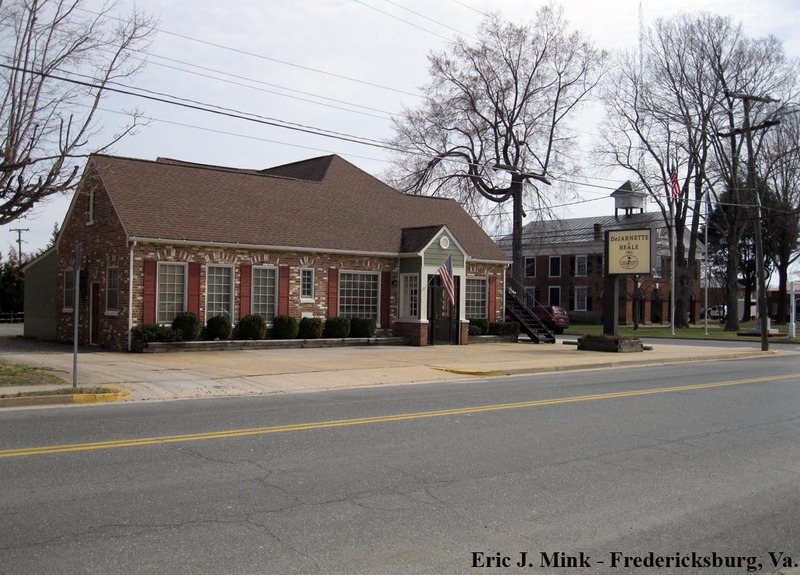 On the afternoon of April 24, 1865, Willie, in the company of two other former Confederates, waited for the ferry along the Rappahannock River at Port Conway. There, they made the acquaintance of the most wanted man in the country, John Wilkes Booth.